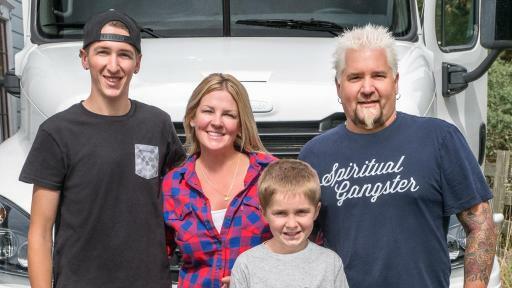 NEW YORK – July 17, 2017 – For years Guy Fieri has explored America, seeking out the best spots on Diners, Drive-Ins and Dives. 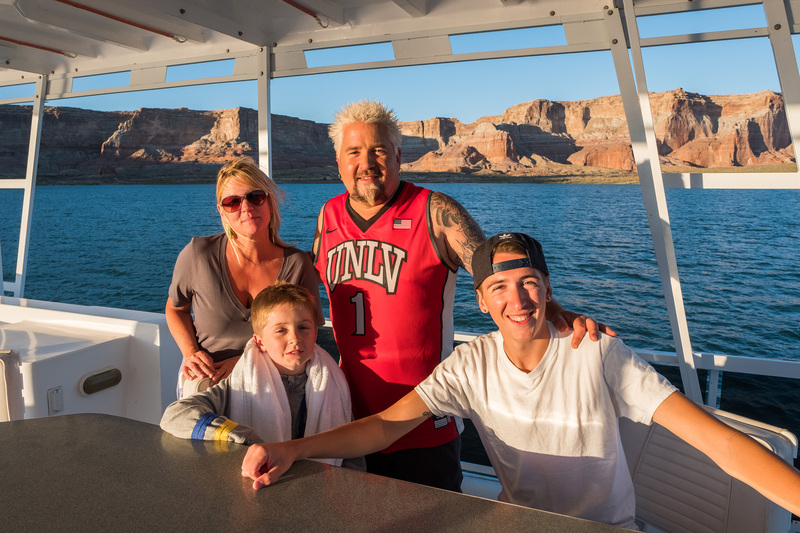 Now, he is sharing that experience with his family as they hit the road for the classic American tradition – a family road trip from sea to shining sea! 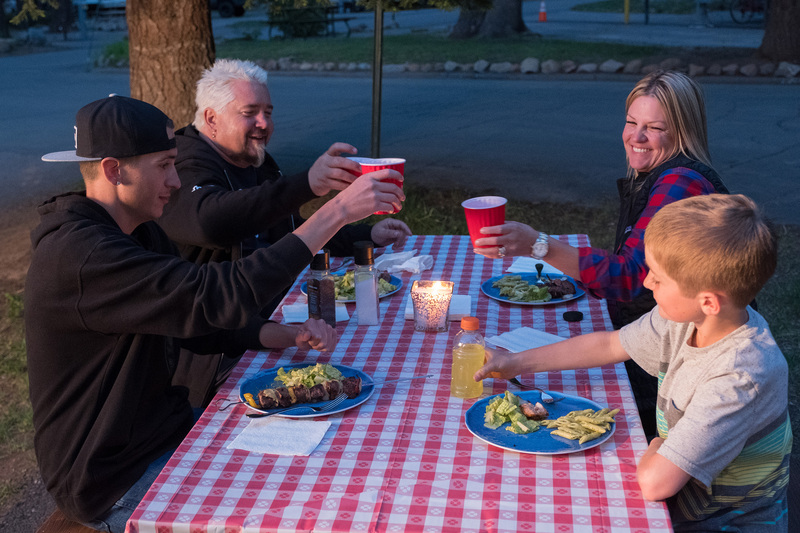 In the series, Guy, his wife Lori, and his sons Hunter and Ryder load up their RV to hit the road on a vacation they will never forget. From rafting in the Grand Canyon to rolling down Route 66, and from creole cooking in New Orleans to pit stops stuffed with campfire feasts, this road trip is full of great food, iconic locations and big adventure! A sneak peek of the premiere episode airs Sunday, August 13th at 10pm ET/PT with the series then airing in its regular day and time beginning Friday August 18th at 9pm ET/PT. 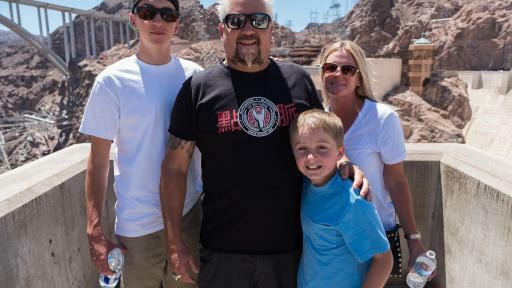 The Fieris hit the highway for an American rite of passage: a family road trip from coast to coast. From quirky festivals and campfire cooking to national parks and roadside attractions, they will dig into America at its best. They'll pit stop for great food and big adventure at iconic locations and encounter some crazy characters too. 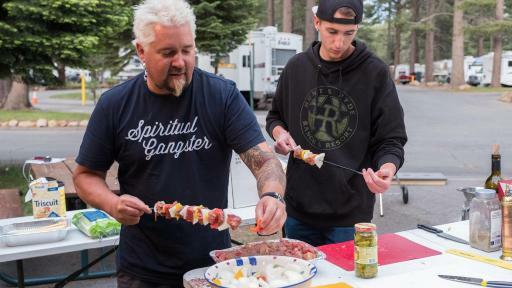 Along the way from their home in California to Florida’s soft-sand beaches, they will catch up with some familiar Triple-D chefs and meet some new faces whipping up unique eats. 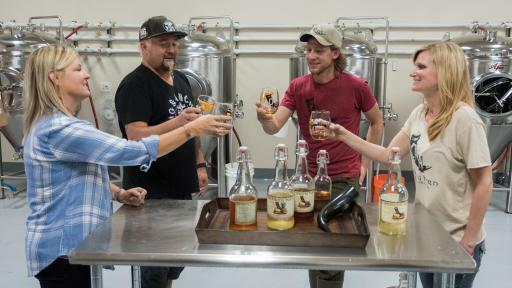 Adding more flavor to this trip, they will embark on local adventures including a helicopter tour of the Grand Canyon, connecting with nature at a wildlife preserve in Flagstaff, Arizona, and rafting in the waters of the Colorado River. Plus, the fun continues with a visit to the Alamo, a special dinner for troops in San Antonio, a creole crawfish boil in New Orleans, fresh oysters in Alabama, and lots of RV-side campfire feasts. 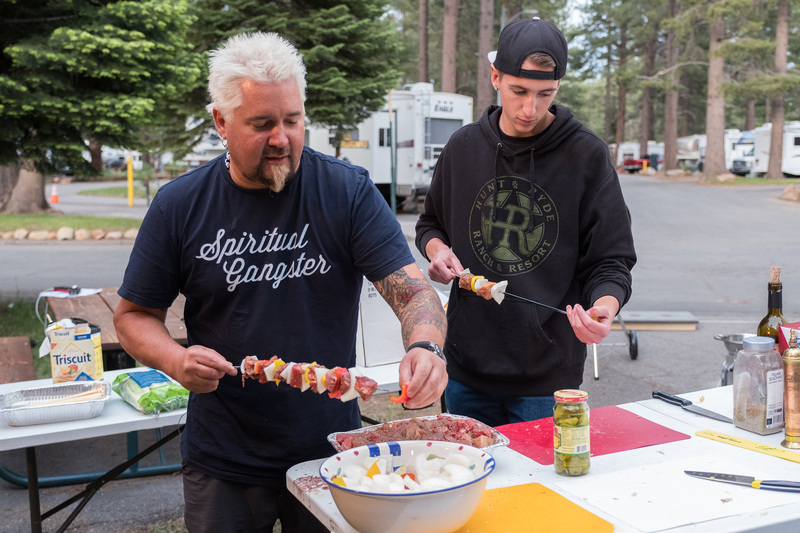 First stop on the road trip is Lake Tahoe, where Guy and his family fuel up for a day of mountain biking with some decadent Belgian waffles. 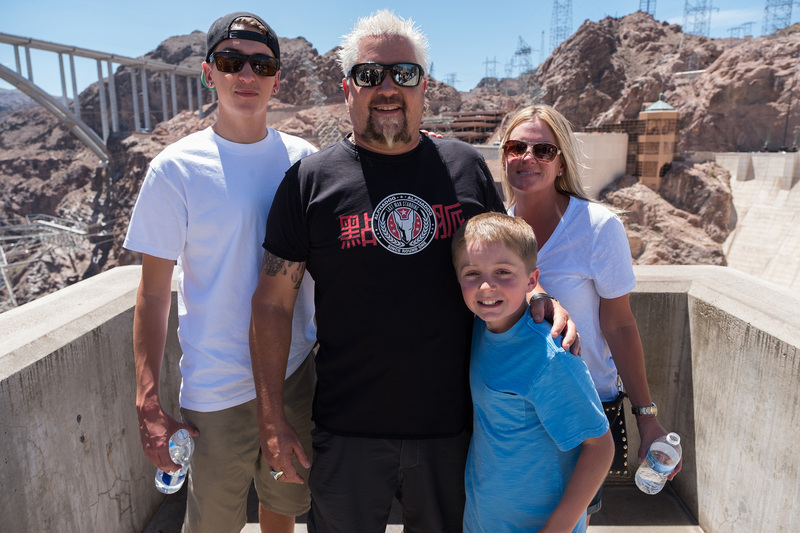 They also check out American ingenuity at the Hoover Dam, before heading to Guy’s restaurant in Nevada for traditional Mexican mole and homemade salsa. Next, things heat up in Flagstaff, Arizona at the local Chile Festival with spicy red and green chiles. 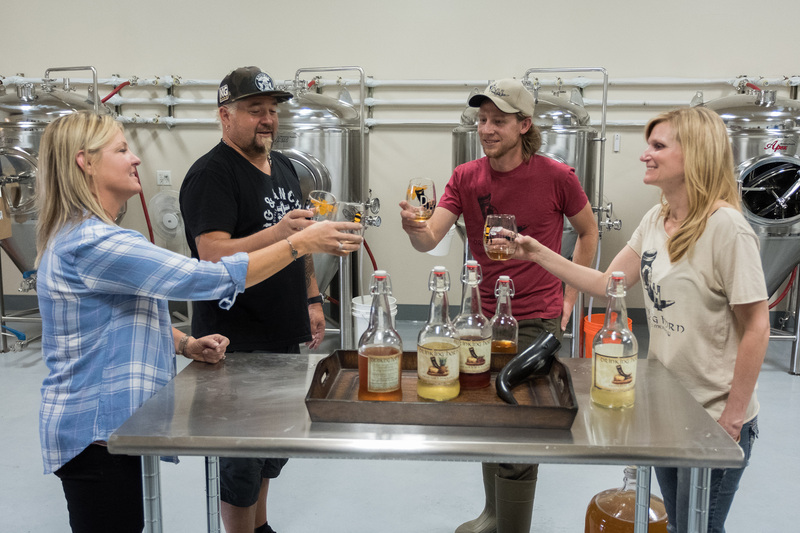 But not to worry, because a big glass of mead brewed with local wildflower honey helps to cool things off before they hit the road for more! 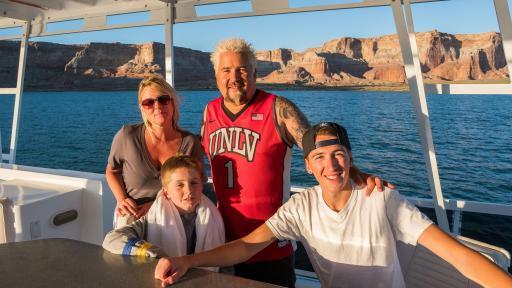 Fans can see more photos of the Fieri family’s summer vacation at FoodNetwork.com/GuysFamilyRoadTrip and can get ideas for their own vacation. 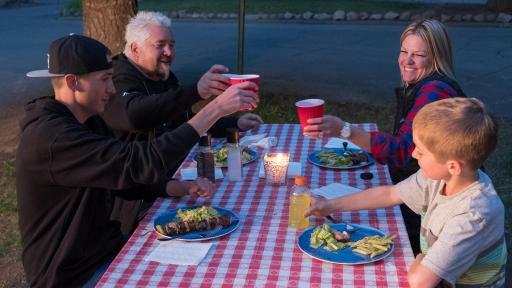 Plus, they can share their own trip highlights using #GuysFamilyRoadTrip. FOOD NETWORK (www.foodnetwork.com) is a unique lifestyle network, website and magazine that connects viewers to the power and joy of food. The network strives to be viewers' best friend in food and is committed to leading by teaching, inspiring, empowering and entertaining through its talent and expertise. Food Network is distributed to more than 100 million U.S. households and draws over 46 million unique web users monthly. Since launching in 2009, Food Network Magazine's rate base has grown 13 times and is now the #2 best-selling monthly magazine on the newsstand, with over 13.9 million readers. Headquartered in New York, Food Network has a growing international presence with programming in more than 150 countries, including 24-hour networks in the United Kingdom, Asia, and the Europe, Middle East and Africa (EMEA) region. Scripps Networks Interactive (NASDAQ: SNI), which also owns and operates Cooking Channel (www.cookingchanneltv.com), HGTV (www.hgtv.com), DIY Network (www.diynetwork.com), Travel Channel (www.travelchannel.com) and Great American Country (www.gactv.com), is the manager and general partner.